The Ludo is the latest in Italian basin design. With its rectangular styling this metal basin is made of an exclusive aluminium alloy composite available in 2 colour finishes similar to glass. This low slung and slim bathroom sink has a beautiful contemporary style and is a lovely design feature for high quality bathrooms. All luxury metal basins are made to order, please allow 4 weeks for delivery. Price includes the basin waste. * Latest in designer basins. * New copper leaf finish. 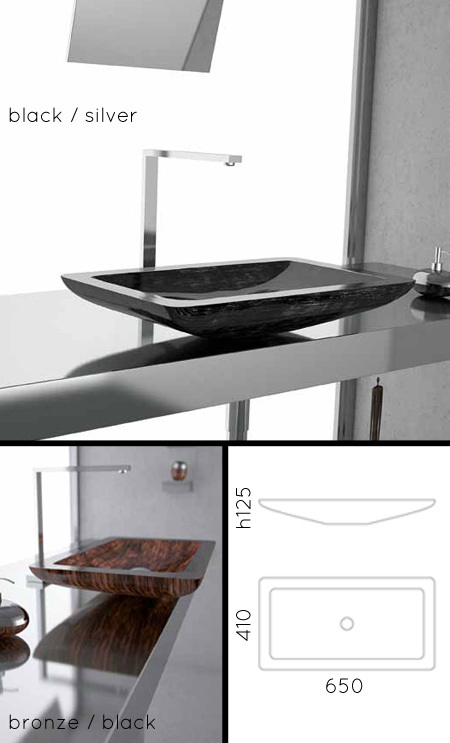 * Ideal for luxury bathroom design. * Made of exclusive alloy composite.